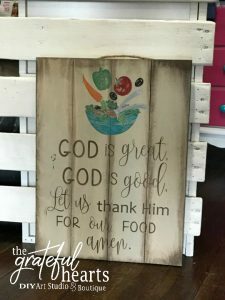 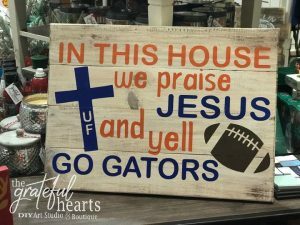 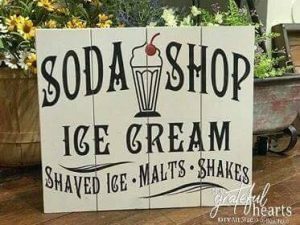 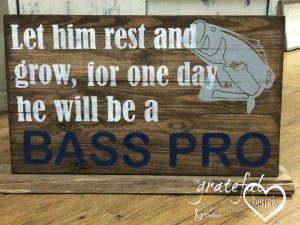 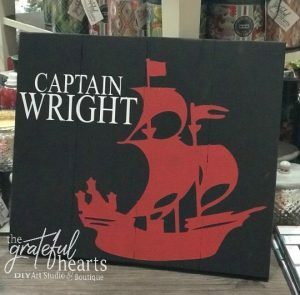 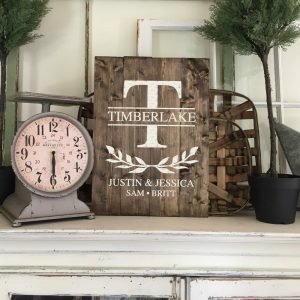 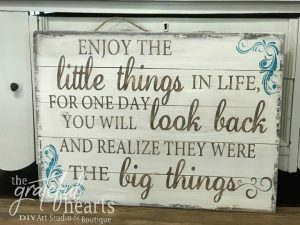 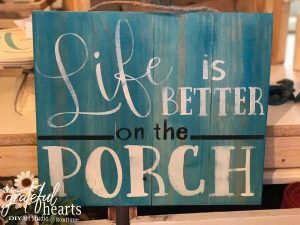 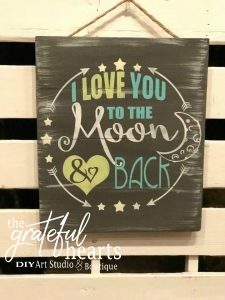 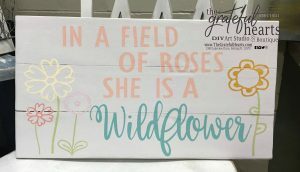 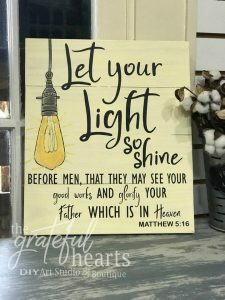 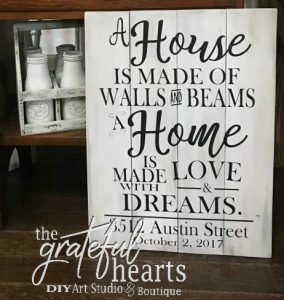 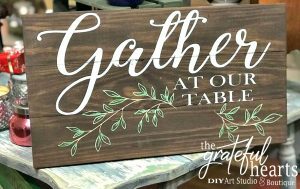 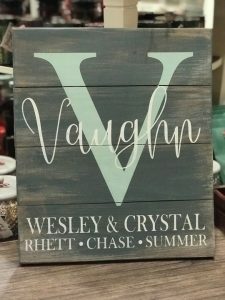 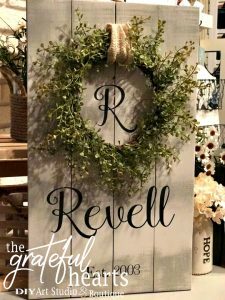 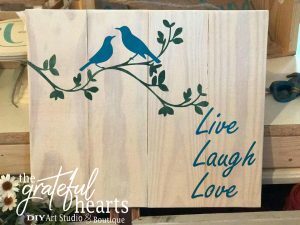 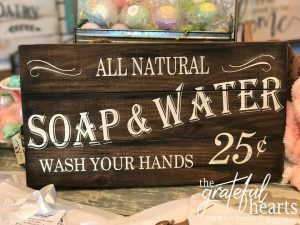 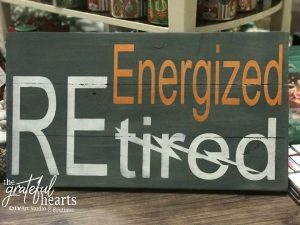 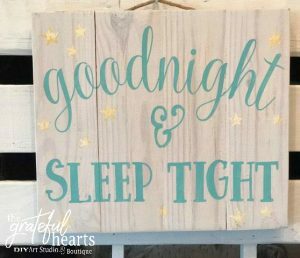 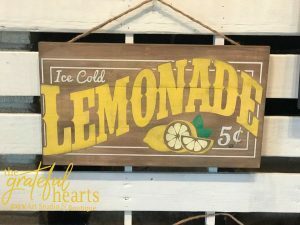 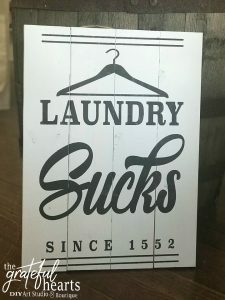 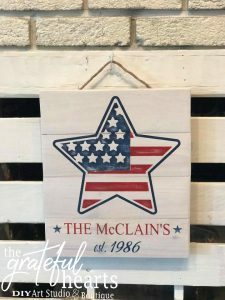 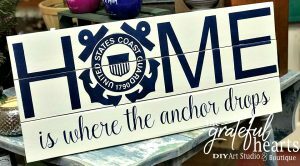 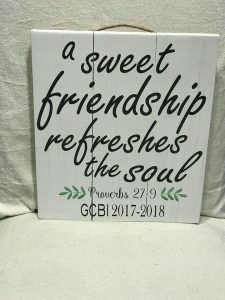 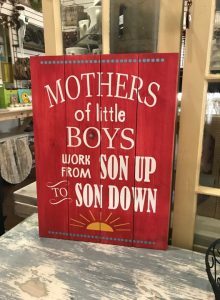 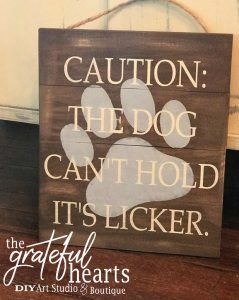 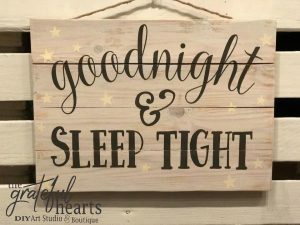 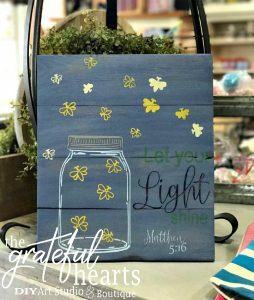 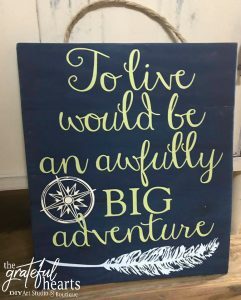 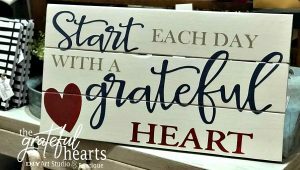 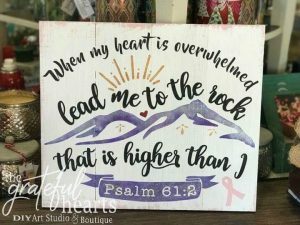 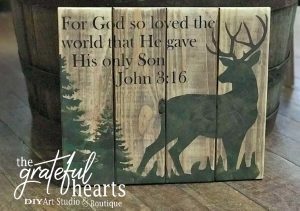 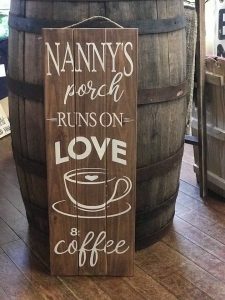 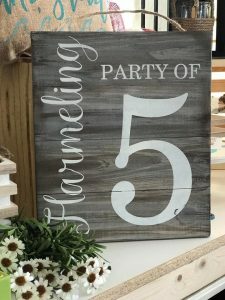 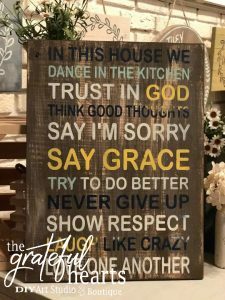 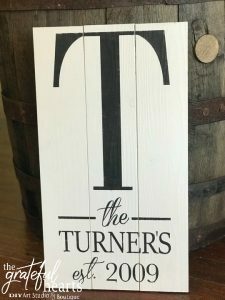 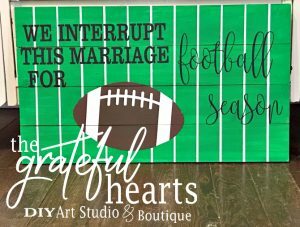 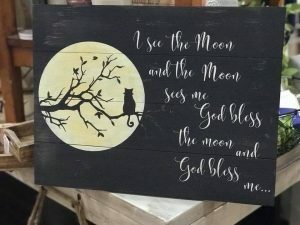 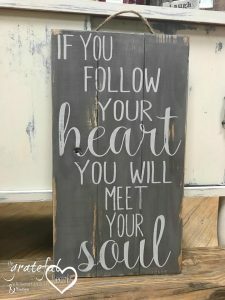 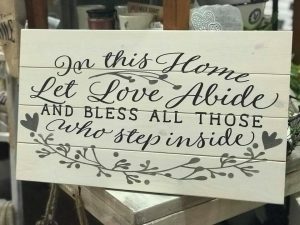 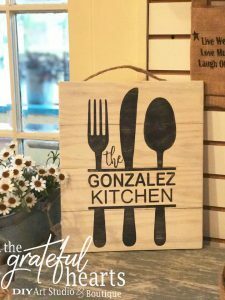 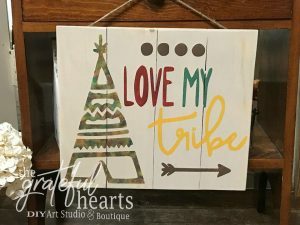 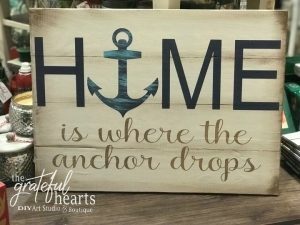 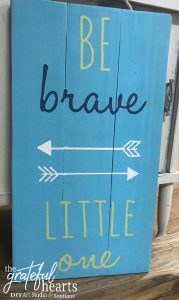 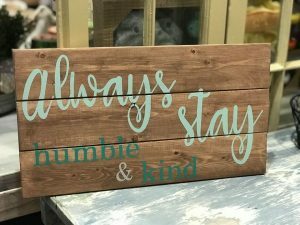 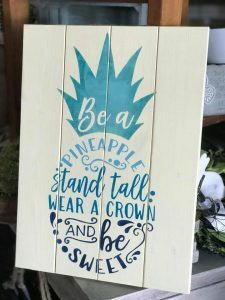 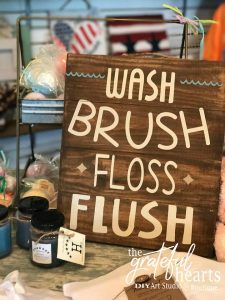 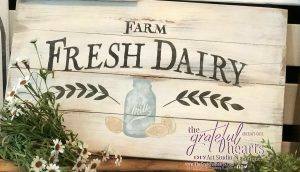 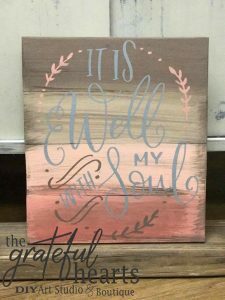 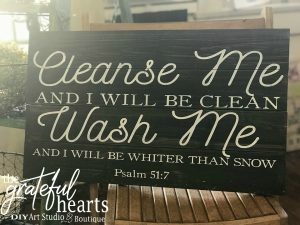 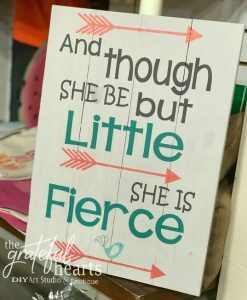 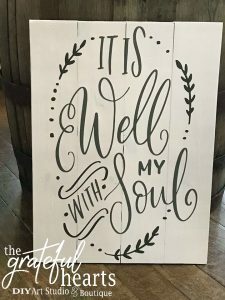 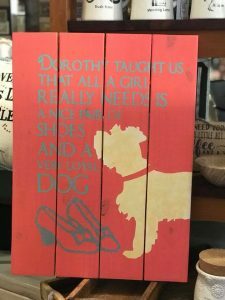 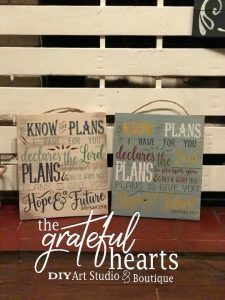 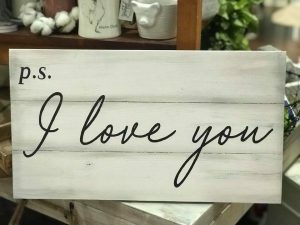 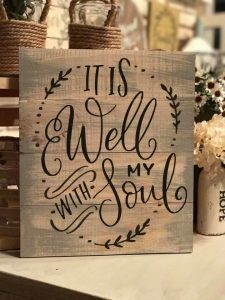 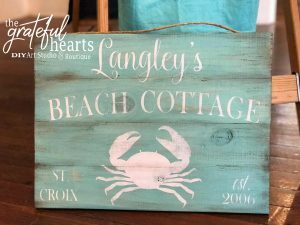 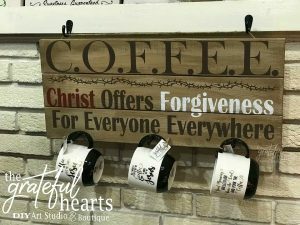 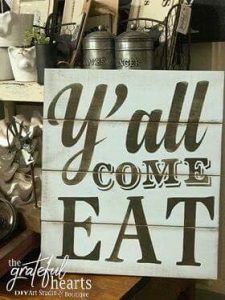 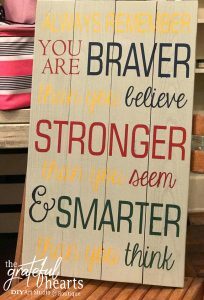 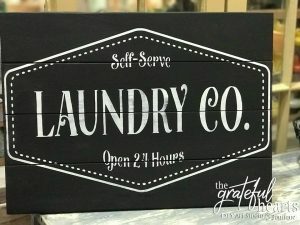 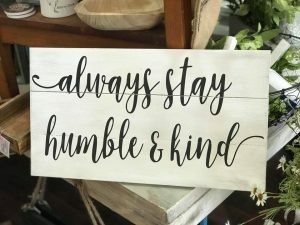 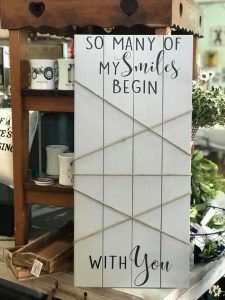 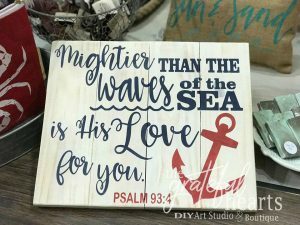 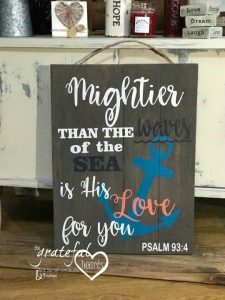 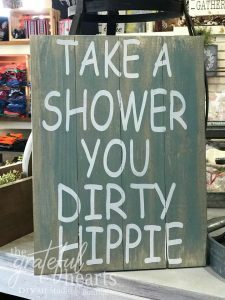 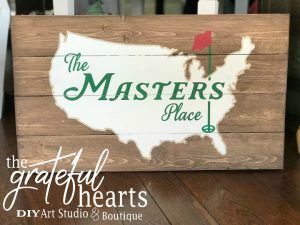 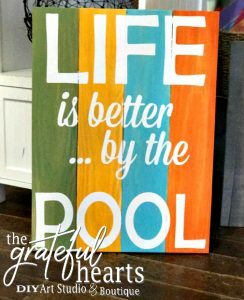 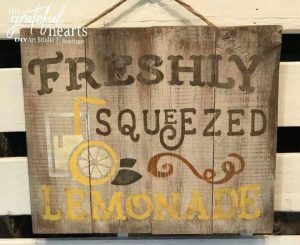 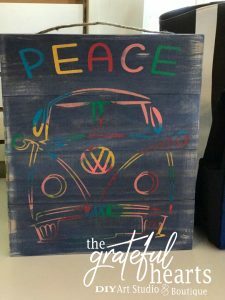 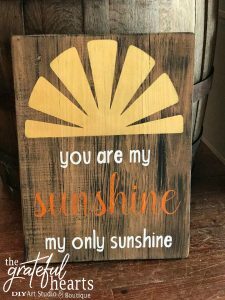 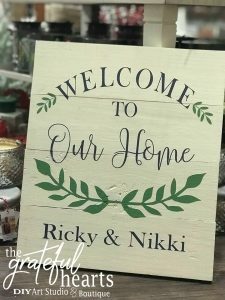 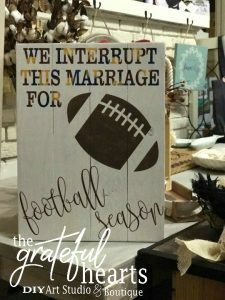 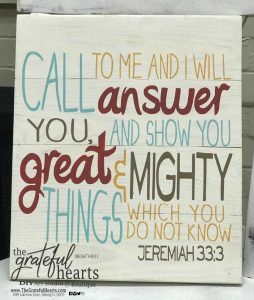 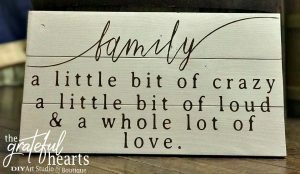 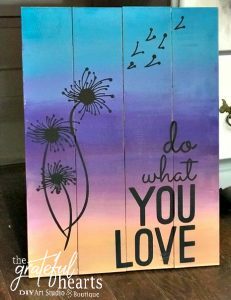 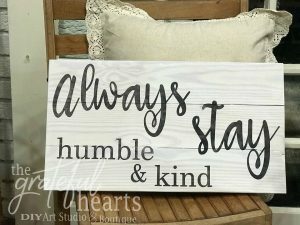 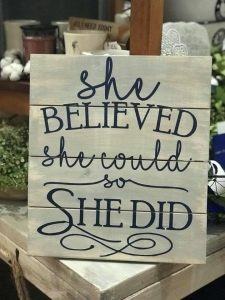 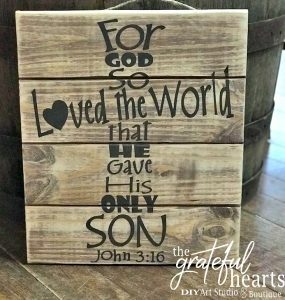 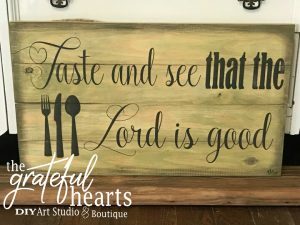 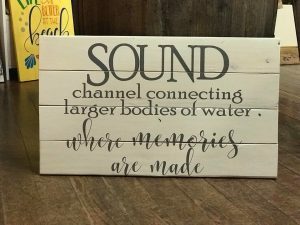 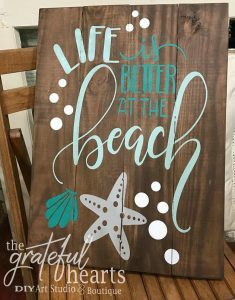 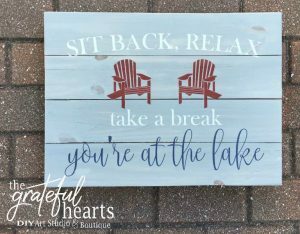 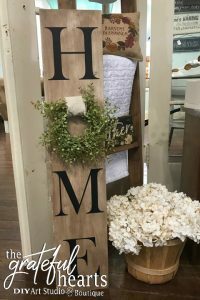 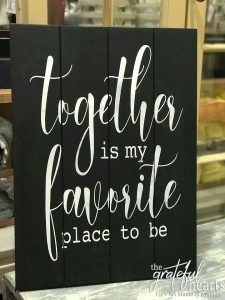 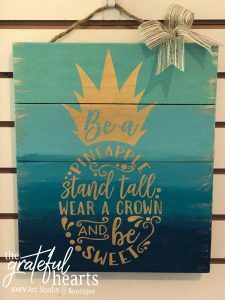 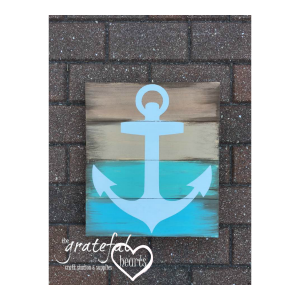 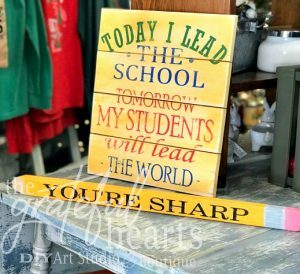 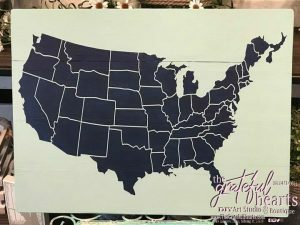 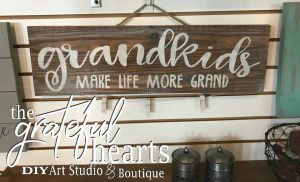 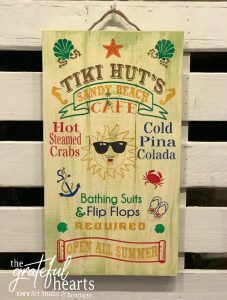 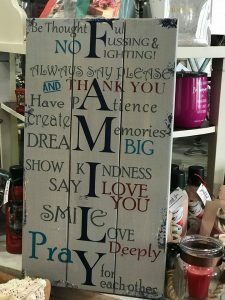 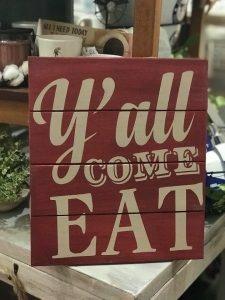 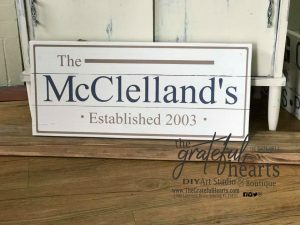 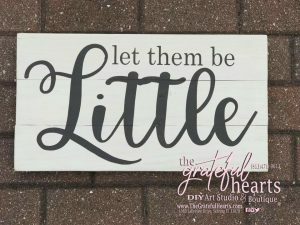 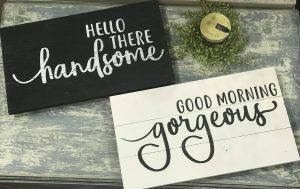 The Grateful Hearts Do It Yourself Art Studio & Boutique offers wood plank signs that can be antiqued, customized and distressed to your liking! 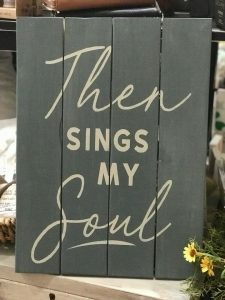 you can guarantee you will have an original sing no two wood pieces are the same. 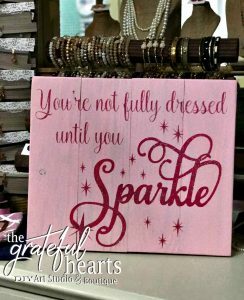 You will see natural chips, distresses and worn grain. 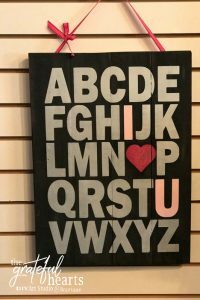 That is unavoidable; all wood grains are different. 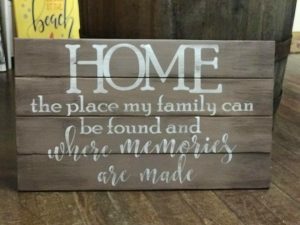 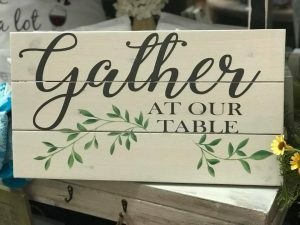 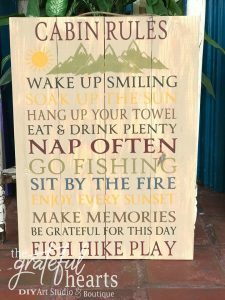 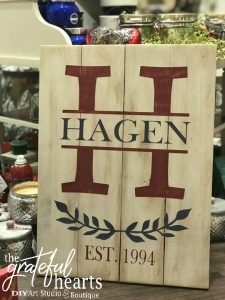 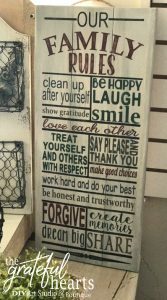 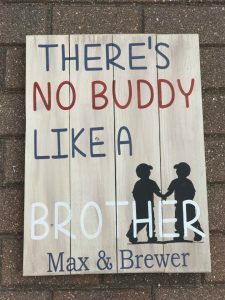 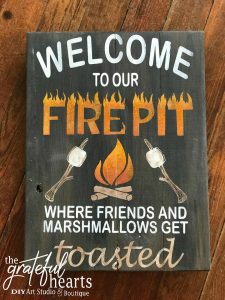 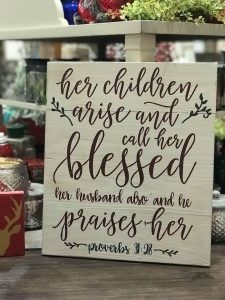 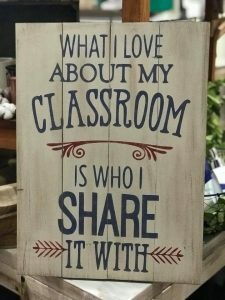 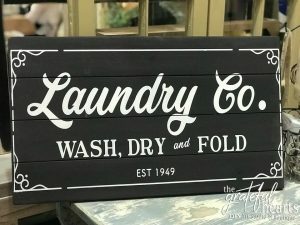 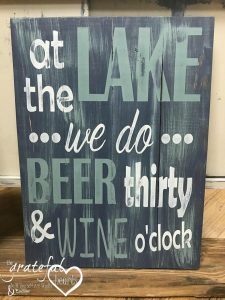 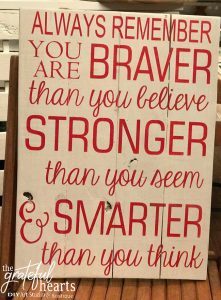 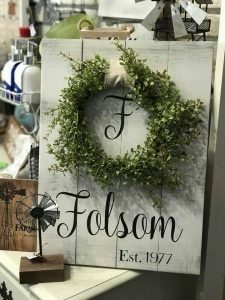 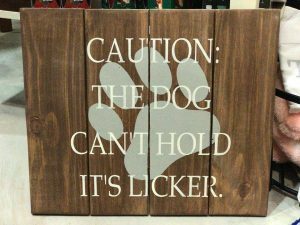 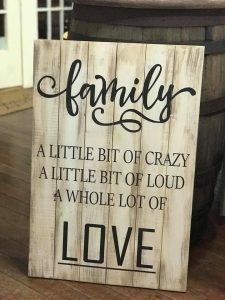 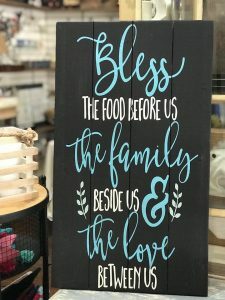 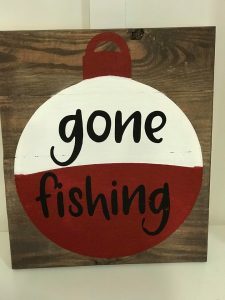 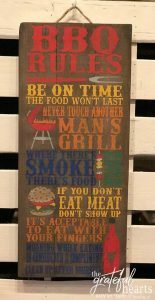 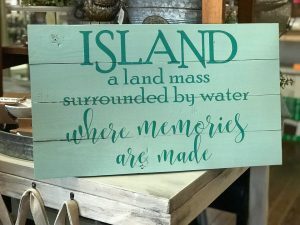 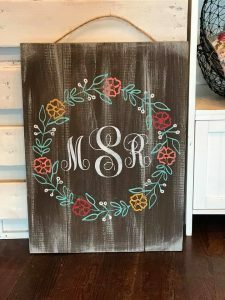 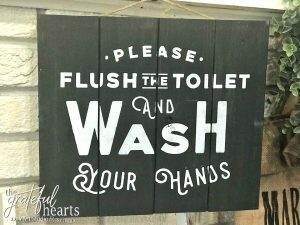 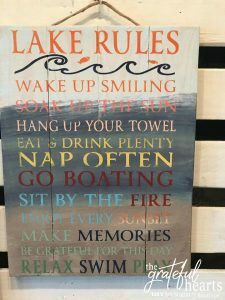 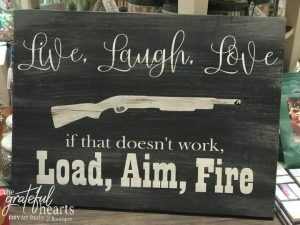 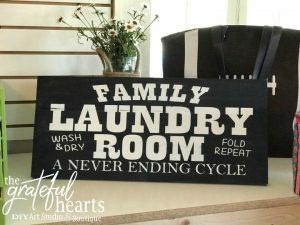 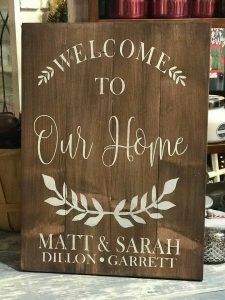 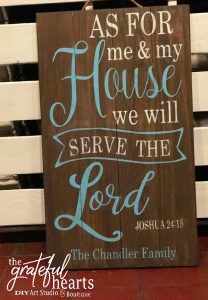 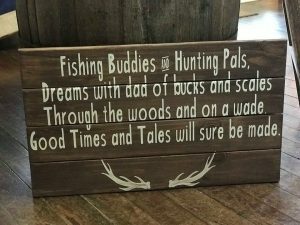 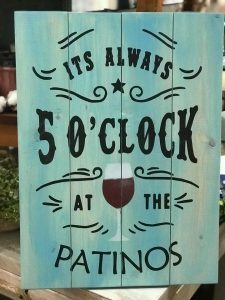 Made from solid wood, you can customize every aspect of the sign in the workshop from the design colors to the frame color by choosing from our great line of paints and non-toxic wood stains (no odor or toxic fumes!). 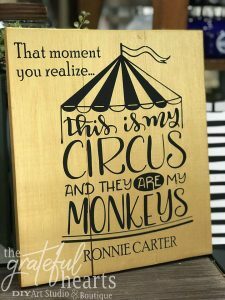 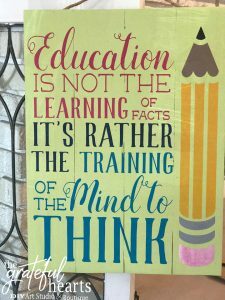 THAT MOMENT YOU REALIZE THIS IS MY CIRCUS AND THEY ARE MY MONKEYS – NAME CUSTOMIZATION WILL BE LEFT OFF IF NO PERSONALIZATION IS SUBMITTED AT REGISTRATION. 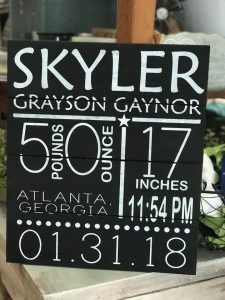 BIRTH ANNOUNCEMENT – ADD CUSTOMIZATION FEE AND SUBMIT INFORMATION AT REGISTRATION.